New pen and ink and watercolor bird art in the Art link. 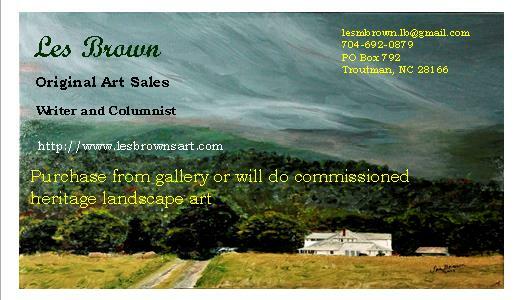 I began my art journey as a child drawing landscapes of my Blueridge Mountain home from which I still draw inspiration. My career as a biologist added depth and meaning to my work from representational to more conceptual. Exploration of three dimensional media through pottery, using natural motifs, has led more and more to two dimensional work with a variety of media, mark and subjects. Growing up in a bygone era has inspired exploraton of past family cultural settings of my own and of my wife. I hope you will find m​y images interesting and creative. I have recently been working with acrylic painting and enjoying satisfaction with work focusing on my ancestral mountain landscape. Prices will be provided upon contact. Only serious patrons please.